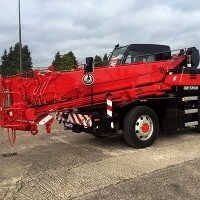 Mammoet UK has taken delivery of a new Kato CR-130Ri from European distributor Rivertek Services. Welsh rental company B&A Cranes has taken delivery of a new 20 tonne Kato CR-200Ri city-type All Terrain crane. 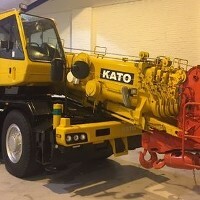 Scottish crane rental company Bernard Hunter Cranes has taken delivery of a New Kato CR-200Ri to replace its Kato CR100 which it has operated for several years. Japanese crane and excavator companies Kato and IHI have signed an agreement to transfer all of IHI Construction Machinery equity to Kato Works. We are pleased to announce we will be opening our UK Depot in July/August 2016. 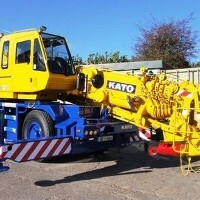 Our depot which is located in Burntwood Business Park, Cannock is a dedicated KATO Sales, Parts & Support Centre. Rivertek Services Ltd are pleased to announce that they will be displaying the complete range of New KATO CityRange Cranes at Vertikal Days in Haydock, UK on June 15th & 16th.